As biologists probe deeper into the molecular and genetic underpinnings of life, K-12 schools often struggle to provide a curriculum that reflects those advances. Although hands-on learning proves to be more effective for teaching science to students, even the most basic molecular and synthetic biology experiments require equipment far beyond an average classroom’s budget and bacteria and other substances that can be difficult to manage outside of a controlled laboratory setting. Now, a collaboration among Northwestern University, the Massachusetts Institute of Technology, and the Wyss Institute at Harvard University is aiming to solve this problem with BioBits, new educational biology kits that use freeze-dried cell-free (FD-CF) reactions to enable students to perform a range of simple, hands-on biological experiments. 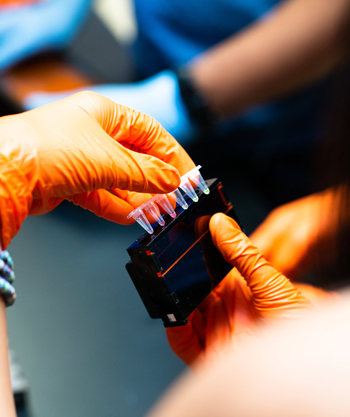 The BioBits kits introduce molecular and synthetic biology concepts without the need for specialized lab equipment, at a fraction of the cost of current standard experimental designs. The kits are described in two papers (BioBits Bright and BioBits Explorer) published today (August 1) in the journal Science Advances. 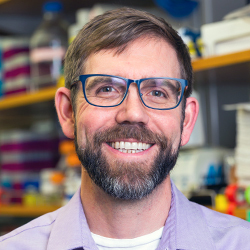 Jewett, who is also the co-director of Northwestern’s Center for Synthetic Biology, and Jim Collins, the Termeer Professor of Medical Engineering & Science at MIT, served as the paper’s co-corresponding authors. “Challenging the students to build their own in vitro synthetic programs allows educators to start to talk about how synthetic biologists might control biology to make important products, such as medicines or chemicals,” said Jessica Stark, a National Science Foundation graduate fellow and graduate student in Jewett’s lab who is co-first author on both papers. An expansion of the BioBits Bright kit, called BioBits Explorer, includes experiments that engage the senses of smell and touch and allow students to investigate their environment using designer synthetic biosensors. One experiment, for example, uses a sensor that glows fluorescent when in the presence of banana or a kiwi DNA. Another experiment creates a compound that smells like bananas. The third experiment results in a squishy hydrogel, which students can touch and manipulate. 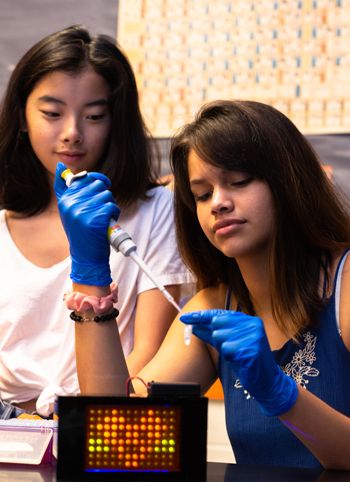 Researchers tested their BioBits kits in the Chicago Public School system and noticed that students and teachers could perform the experiments with the same success as trained synthetic biologists. “We have been so lucky to partner and work closely with the Office of Community Education Partnerships at Northwestern, which has a deep network of collaborators and experience connecting with Chicago-area students,” Jewett said. The team next plans to refine the kits’ design and create an open-source online database where teachers and students can share their results and ideas to modify the kits to explore different biological questions.